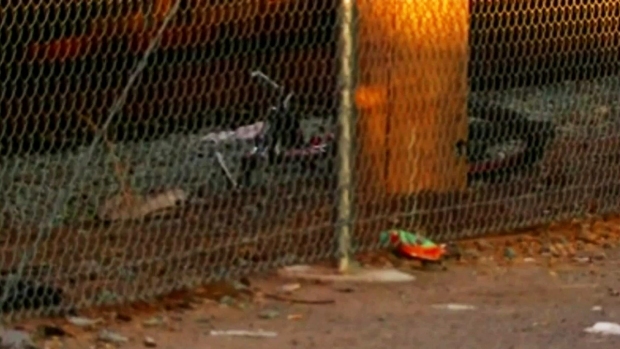 An MTS trolley struck the man on his bike just before 6 a.m.at Harbor Drive and Sampson Street. One man riding a bicycle and wearing earbuds was struck and killed by the San Diego Trolley in Barrio Logan early Wednesday. The cyclist tried to clear the tracks while the crossing arms were moving and alarms were ringing, witnesses told police. The southbound trolley had cleared the intersection but it appears the bicyclist didn't see or hear the northbound train, police said. 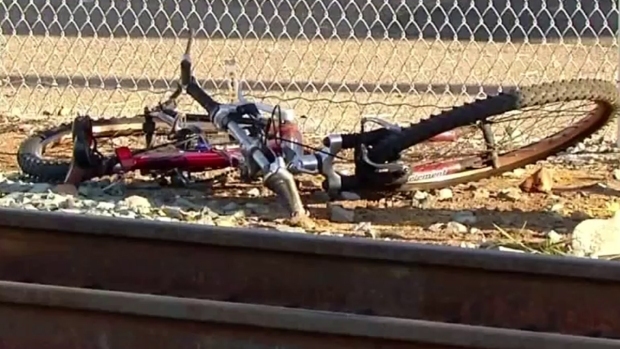 NBC 7's Liberty Zabala report on the death of a man who rode his bicycle on the MTS tracks just before a trolley struck and killed him. The cyclist flew several feet and hit a pole. Witnesses tried CPR on the man but he was pronounced dead at the scene. San Diego Police Officers say the trolley was full of passengers who might have witnessed the crash. The cyclist was a man in his late 20s or early 30s who was wearing earbuds at the time of the crash, SDPD Lt. Eric Hays told NBC 7. He may be an employee of a business in the area, Hays said. Police say there is video of the collision from the trolley which they will look over to investigate. Meanwhile, they have identified the victim but won't release his name until notifying his family.